2019 Aston Martin Rapide E is the electric sibling to Rapide S | Car News, Reviews, & Pricing for New & Used Cars. Aston Martin has announced official specifications for its first battery-electric model, which will be the Rapide E. Developed together with Williams Advanced Engineering, the 2019 Rapide E will have two electric motors good for a total of 610 horsepower and 700 pound-feet of torque. The Rapide E four-door, which will be produced in a limited run of 155 units, will be good for 155 mph. Its WLTP range target is said to be over 200 miles, and an hour of charging is good for 185 miles, using a regular 400-volt 50kW charger. Aston says the car’s 800V battery system can also be charged with a 100kW+ charger at a rate of over 5 miles per minute. The electric powertrain is where the Rapide S’s six-liter V12, gearbox and fuel tank would normally reside, to keep weight distribution in check; using composite materials and lightweight alloys, Aston has been able to meet the Rapide E’s weight targets. To beat the aerodynamics of the Rapide S and to make it as silent as possible, both the car’s exterior and underbody have been given a makeover from an EV development viewpoint and the low-rolling-resistance Pirelli P-Zero tires even feature noise-canceling foam inside them. As Aston is still in the business of making sports cars, the Rapide E’s performance must be up to par: It reaches 60 mph in less than 4 seconds, and the 50-70 mph overtaking time is just 1.5 seconds. 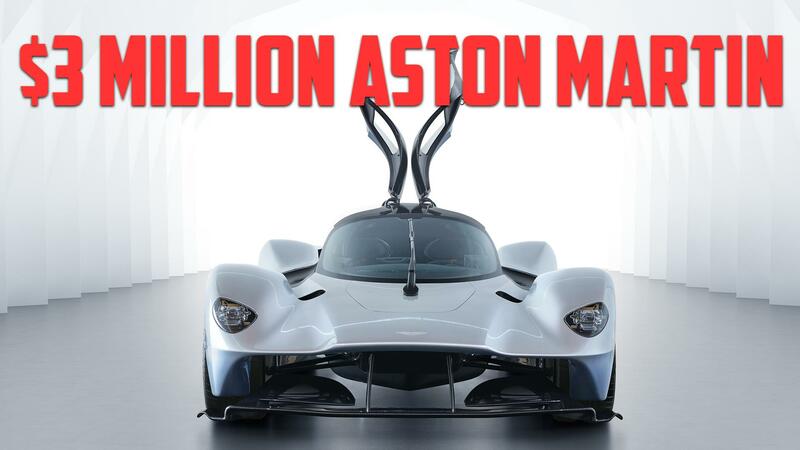 Aston says these figures can also be reached with a battery that is less than fully charged – the target is for “maximum performance on-demand throughout majority of the battery state of charge window,” to put it succinctly. Aston’s benchmark is that the Rapide E is capable of a full Nürburgring lap without any derating of the battery, with the electric version able to give a hassle-free performance expected of an internal combustion car. Perhaps that is a veiled reference to Teslas that have experienced overheating problems in track use. Aston Martin also states that it has strived to keep the Rapide E feeling like an Aston Martin, especially compared to the V12-engined Rapide S sibling. For Aston, this has meant chassis and electric powertrain tuning to retain the Rapide S’s handling characteristics and “feel,” including using a limited-slip differential through which the twin electric motors deliver their power — and keeping an eye on the springs, dampers and software integration to keep the car from feeling ponderous or clunky. For the eventual launch of Aston’s electric flagship brand Lagonda, the lessons learned while engineering the Rapide S must be invaluable. Aston also says that customer feedback will be used to help hone the cars to Aston Martin drivers’ requirements. Earlier, Aston Martin announced that its new St. Athan facility will be the brand’s “Home of Electrification,” and that’s where the Rapide E will be built. The first customer cars will be delivered on the fourth quarter of 2019. No pricing for the Rapide E has yet been disclosed, but a year ago the price was rumored to be $250,000.